A vegetarian hoping to find some great vegetarian-friendly outlets, a free-spirit on a mission to find some 'heart' in and around the UAE. 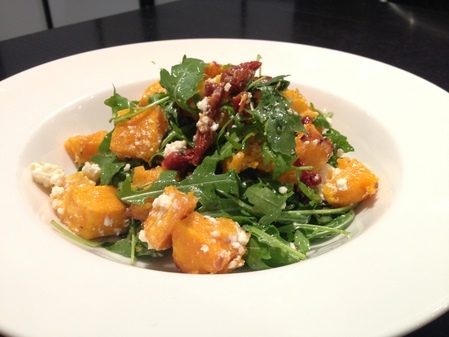 Roasted pumpkin and feta cheese salad, topped with sun-dried tomatoes - a delicious vegetarian delight. The Grocer, never disappoints me.